From Middle English soren, from Old French essorer (“to fly up, soar”), from Vulgar Latin *exaurare (“to rise into the air”), from Latin ex (“out”) + aura (“the air, a breeze”), from Ancient Greek αὔρα (aúra, “breath”). Compare aura, and exhale. To fly aloft with little effort, as a bird. When soars Gaul's vulture with his wings unfurled. To mount upward on wings, or as on wings. To remain aloft by means of a glider or other unpowered aircraft. To rise, especially rapidly or unusually high. The pump prices soared into new heights as the strike continued. (figuratively) To rise in thought, spirits, or imagination; to be exalted in mood. Valour soars above What the world calls misfortune. soar in Webster’s Revised Unabridged Dictionary, G. & C. Merriam, 1913. From Old Galician and Old Portuguese sõar, from Latin sonāre, present active infinitive of sonō. −Do you know him? −No, he doesn't ring a bell. (Lit. "He doesn't sound (to me)"
Et alí oyriades a uolta et os braados tã grandes, et o rreuoluer et o bolir tã grande, et o soar dos cornos et dos anafíjs, que esto era hũa grã marauilla. Attested since the 13th century. From proto-Galician *solar, from Latin solum. Compare Spanish solar. “soar” in Dicionario de Dicionarios do galego medieval, SLI - ILGA 2006-2012. 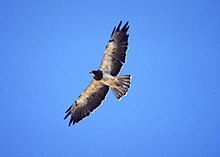 “soar” in Xavier Varela Barreiro & Xavier Gómez Guinovart: Corpus Xelmírez - Corpus lingüístico da Galicia medieval. SLI / Grupo TALG / ILG, 2006-2016. “soar” in Dicionario de Dicionarios da lingua galega, SLI - ILGA 2006-2013. “soar” in Tesouro informatizado da lingua galega. Santiago: ILG. “soar” in Álvarez, Rosario (coord. ): Tesouro do léxico patrimonial galego e portugués, Santiago de Compostela: Instituto da Lingua Galega. From Old Portuguese sõar, from Latin sonāre, present active infinitive of sonō, ultimately from Proto-Indo-European *swen- (“to sound, resound”). Ó sino da minha aldeia, / Dolente na tarde calma, / Cada tua badalada / Soa dentro da minha alma. Oh bell of my village, / Lazy in this peaceful afternoon, / Each one of your tollings / Resounds in my soul. Isso não soa bem. ― That doesn't sound good. An obsolete treatment is to add a circumflex in one conjugated form. Verbs with this conjugation include: abençoar, coroar, enjoar, perdoar. Borrowed from French soir (“evening”).